Zurvita calls it “Christmas Canister” and it is a gift that keeps on giving! 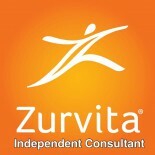 Zurvita Christmas Promotion offers customers a Zeal Wellness Canister for $39.95 and Free Shipping for a year! – Unheard of! This offer is available only for customers in the USA, Puerto Rico, Canada, Dominican Republic, Australia, and México and you can cancel at any time. Haga un clic aqui para espanol. This entry was posted on October 26, 2018 by Zurvita.com/HealthRoads in Canada, Nutrition, Nutrition and Wellness, United States, Zeal For Life, Zeal For Life Products, Zurvita Events and tagged Canister Chaos, Energy, espanol, gluten free, Gluten Free supplements, kosher, marketing, Nutrition, promotion, USA, vegan, Zeal Canister, Zeal Canister Discount, Zeal Canister Sale, zeal wellness, Zeal Wellness Promo, Zurvita Discounts, Zurvita Promo.